Home - L. Rubin & Company Inc. Your L. Rubin Mobile App is easy to access. 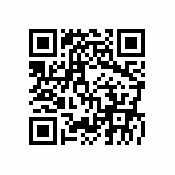 Search for MyAccountants in the Apple or Play Store or scan the QR code below. L Rubin & Company welcomes you to their website. We offer comprehensive accounting services including the preparation of accounting records from source documents, preparation of monthly management accounts and VAT201 submissions to SARS. Preparation of annual financial statements in accordance with International Financial Reporting Standards (IFRS) & International Financial Reporting Standards for Small and Medium Enterprises (IFRS for SME). We offer comprehensive payroll administration which includes the preparation of monthly payslips, the submission of EMP201 returns, submission of UIF information to the Department of Labour and the submission of bi-annual EMP501 reconciliation and related IRP5 certificates. As a Registered Auditor with the Independent Regulatory Board for Auditors (IRBA) we perform audits and independent reviews in terms of the Companies Act, 2008. We can assist with all statutory submissions to the Companies and Intellectual Property Commission (CIPC) including company registrations, the submission of the annual return/duty, changes in directors and shareholders and name changes. Preparation and submission of annual income tax & provisional tax returns for individuals, companies and trusts. We can assist with the registration for income tax, Value Added Taxation and PAYE. We assist clients with estate and tax planning and also assist Executors of Deceased Estates comply with their duties in terms of the Estate Duty Act.